Trusted by millions of women around the world, Olay is the best selling anti aging skin care range in five continents. Olay was developed more then 60 years ago by South African chemist Graham Wulff and his wife. Olay is now part of Procter & Gamble, which also manufactors SK-II, Oral-B, CoverGirl and DDF. Olay consists of multiple skin care franchises, including Complete, Oil of Olay, Total Effects, Hydrating Effects, Total Effects Professional, Regenerist, Quench, Pro X, 7 Effects and Definity. Olay products can be purchased at Walmart, Target, Walgreens and across the nation at leading retailers. Searching the internet for Olay reviews suggests that women are very passionate about Okay and it’s associated products. Olay has almost 2 million likes and 20,000 comments on Facebook. Olay has a full range of cleansers, serums, moisturizers and face and eye creams with the aim of meeting the full range of skincare needs, whatever the user’s age or skin type. The brand also includes soaps, body washes and sunscreens. As part of our Review of Olay, we looked specifically at the skin care products. Olay has over twenty patents and contributes a reasonable part of it’s $2 billion in revenue on research and development. The products are very innovative and constantly pushing the boundaries. For the first part of the review, we have reviewed Olay Regenerist, Professional Pro x Cleaning System (also know as Olay Face Brush) and for the second part we will review 7 Effects, Total Effects and Definity. We have evaluated Olay Regenerist Regenerating Serum, Olay Regenerist Recovery Cream and Olay Regenerist Micro-Sculpting Serum. The product claims to firm lax skin areas including the jaw lines and smooth the skin while restoring collagen and elasticity. It can be used on any skin type. Olay Regenerist Ingredients include Niacinamide, amino-peptide, B3 complex, Vitamin D5 and Pentapeptide. The product is very innovative and contains high concentration of active ingredients. Olay Regenerist represents good value for money and we recommend it. The Olay Pro x claims to to clean 6 times better than basic cleansing and that it is as effective is as effective as a system sold by skin professionals for nearly $200. Given the products is priced around $20, we were really keen to find out if it was as effective. We can assume by other systems they are reffering to cleansing systems like Clarisonic Mia. It is recommended that you use the The Pro-X Exfoliating Renewal Cleanser while cleansing. Olay Pro X Cleansing System contains brushes to get you started but you’ll need to buy new brushes every 3 months. The system is not sonic like the Clarisonic but it does a good enough job to exfoliate the skin. Your Whips creams are the best cream ever invented! 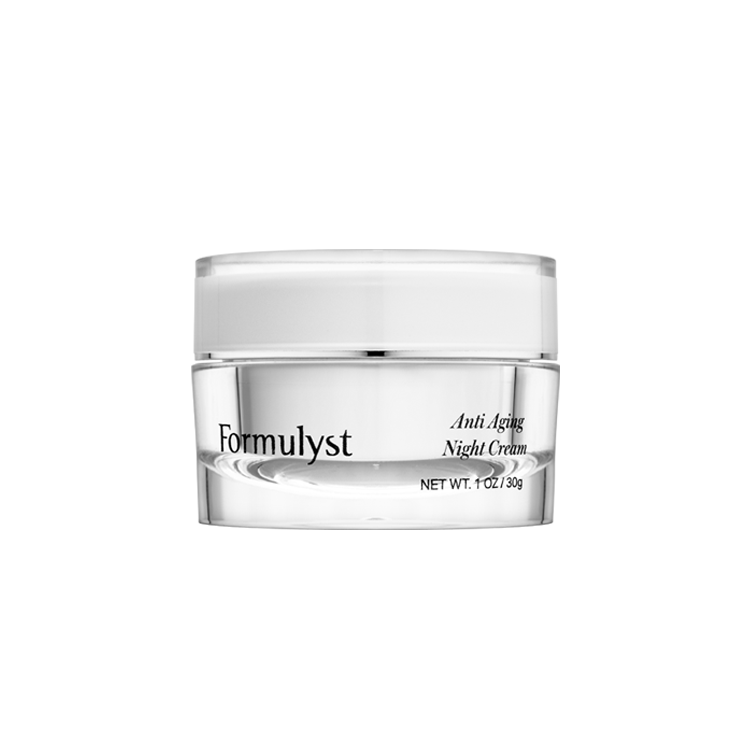 Finally a cream that moisturizes beautifully, without making my skin greasy or shiny! LOVE! Thank you! i’ve tried a lot of products for my acne including olay for years now and dermalmd acne serum is by far the best one. it doesn’t dry out my skin either like a lot of products do. I am 50yrs old, have used oil of olay since I was 18yrs.!!! I looked this up because I wanted to share what a wonderful product this has been for 32yrs!!! I have used the regular one with the black lid…in the 80’s. Then around 35yrs changed to age one…..
Black lid clear bottom, white face cream. Use it every day for the rest of your life! Her mom swore by it! That was good enough for me! Call me vein…but I have used this product from 18ys-50yrs.!!! I have never liked my picture taken, stayed out of the camera…shy, never care for my looks! But I have used this product for 32yrs!!! And I’m still being told I look the same….as last time, most of those times were 10+yrs. I just have to take this time to actually speak up! I have been using Oil of Olay since I was a youngster. My mother used it every day, so ever since I was young enough to reach it in the cabinet, I started using it. I am now 51 years old and continuously get compliments about looking so much younger. Although the stress of losing parents and life in general makes the hair turn and few wrinkles show up, I know that thanks to Oil of Olay……….I am one of the lucky ones that I always prayed I would be. Thank you!!!! Please continue to make olay products with Petrolatum a.k.a. Vaseline. I know Petrolatum has been getting a bas rap. It is the only moisturizer I have found to actually go beyond the surface of theskin, especially wonderful after a shower. 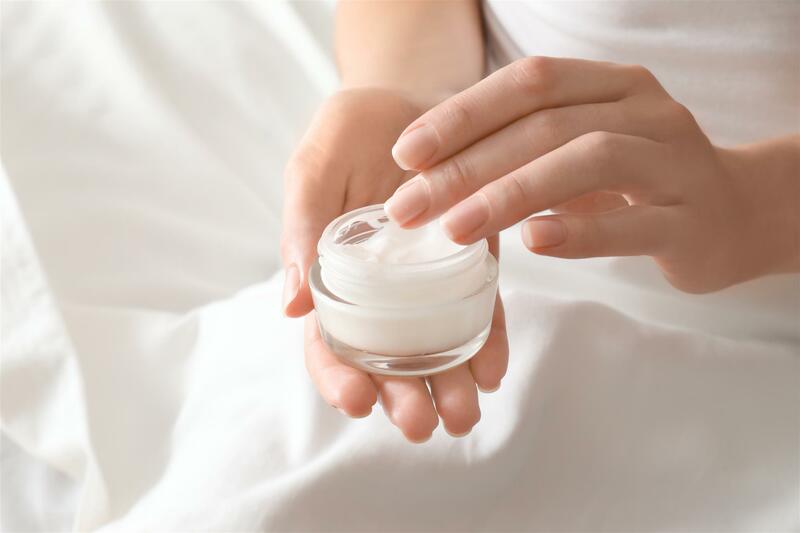 i have also noticed petrolatum is continued to be the moisturizer for most of the lotions’, such as Vaseline intensive care products. I am loving the Olar Ribbons with Honey and Marula oil. it smells like the popular scent called “A Thousand Wishes” from Bath And Body Works! i have also been using B.B.W’s creamy bodywash, but unfortunately they changed the ingredients to Shea Butter. It is not in the same as Petrolatum! Their scent is amazing but i can buy their fragrance if all i want is to smell good! Bless you guys. don’t stop using Petrolatum/Vaseline. HI Cindy. 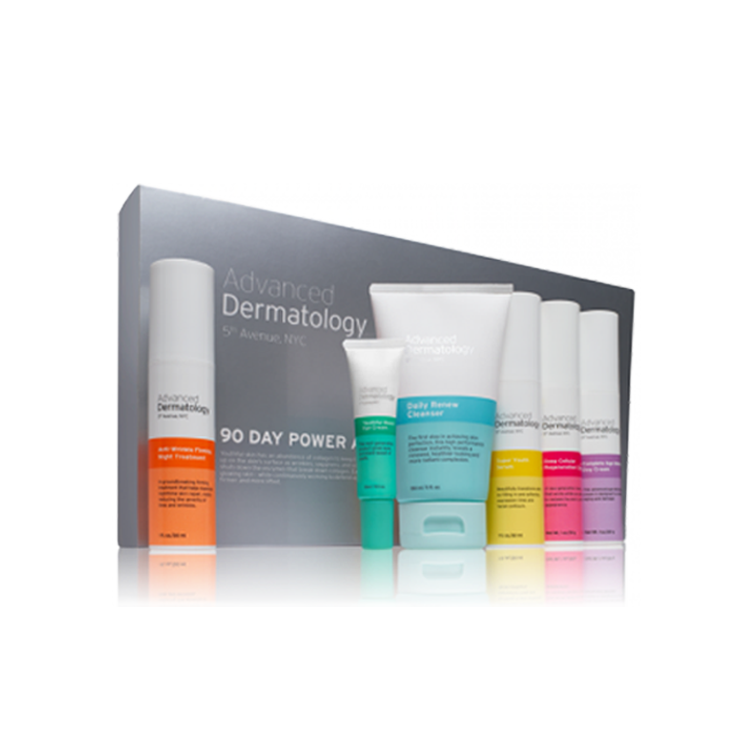 I recently starting using and then selling Arbonne skin care products. They have a line called Calm. I would recommend this line for you. You can check out my website on VickiBauman.arbonne.com. I look forward to helping you with your skin care needs. Olay products are awesome. I have been using the regenerist micro-sculpting serum and eye swirl. I also use the ultimate eye cream. They are great. I just turned 50. I don’t have wrinkles. I guess genes, but I do have puffiness under my eyes. I have noticed a tremendous difference. I live by Olay products. They give results. I have been using oil of Olay since I was 27. I am now on the cusp of 63 and can honestly say that I have had to produce my driver’s license to prove my age. Most think I’m in my mid to late 40’s. I can only attribute this to Olay as I absolutely have never used anything else on my face – ever! I have used olsy for30 plus yrs. I will soon be 54 , and people guess my age at 34 .I get asked all the time what do you use on your face ,? Your skin is so pretty . These compliments make my day.I love Olay , I’m currently using olay regenetist micro sculpting cream ,and regenetist luminous brightening cream cleanser.From time to time I switch up & try different olay products .I virtually have no fine lines, or wrinkles .Thanks Olay. I have been using Olay Pro X Eye for years and LOVE it. Decided to try Olay Pro X Hydrating for my face and I see no improvement, changes, etc. Very disappointed, as I truly LOVE Olay products. Aged 36 I decided it was time for me to start using an anti-wrinkle cream. I thought I would give Olay Anti-winkle firm and lift deep wrinkle treatment and Olay firm and lift eye renewal gel a try. I have noticed within a week of using the treatments a great improvement, especially around the eye area, lifting my eye lids. I haven’t used anti-wrinkle creams before as I didn’t think they would make a difference, I will be recommending these products to my friends and family. I have used Oil of Olay for 20+ years, but just the basic formula. I have always received compliments on my skin, but I am now 50, I have lost 30 lbs and I can see it in my face (puffy eyes, wrinkles! and loss of elasticity) – and I’m not liking it! There are now so many Olay product lines to choose, I have been totally confused as to what I need. My skin is on the dryer side. So, after reading the reviews here, I think I will try the Regenerist line, unless someone can recommend another. My face needs help quick. I am from Malaysia. I am currently using Olay Total Effects anti-aging and fairness cream…together with Olay Total Effects Facial Foaming Cleanser. The cleanser is creamy and foamy, but i wish it is creamier foam, since I have to use a lot to produce more foam.But after I washed my face, I feel my face so fresh and cleaner. I have used it for almost a month now and I feel that it is a good cleanser. As for the cream, i feel that it is a very good moisturizer. I can see my face has less fine lines now, especially on my forehead and nose. I also apply the cream under my eyes to fight fine lines there, but it does not show any results yet. I can see my pores less visible now. I have pimple scars and this cream helps in lightening the scars. I feel my skin is softer and smoother. I apply the cream on my face thrice a day. In the morning, before i go to work.. in the afternoon and at night.. to ensure that my skin stays moisturized and looks great. I have used this cream almost 3 months now. The cream is value for money. After 3 month of usage, thrice applications a day, I still have not finished one bottle. I have used Olay prouducts for years, n just love them!!! But I did try Olay Regenerist Luminous. It’s now been about six weeks n I see NO difference in the clarity of my skin n the brown spots are just as brown. VERY DISAPPOINTED IN THIS PRODUCT!!!! Ido not recommend it !!!! I have really sensitive skin and every cream i use i brake out…..? Do you have the same problem? Do you really recommend it for those types of faces? I love oil of olay serum been using for years under my makeup now my twin daughter use it also from 17 now 25, I would love to know how I could get coupons I have been test and used equate knock off of serum, but not quite the same, please need coupons to be true. Like Olay products, and they seem to work well. Just got the total effects range, serum, day with serum, and night. One little secret my beautician gave me that has made a huge difference to hydration factor is to put all serums and creams onto a slightly damp (clean) face and neck for a little extra moisture. the cream holds the water in= big difference. Hi! Can i use both regenerist micro sculpting cream and olay total effects spf 15 at one time since micro sculpting has no sunscreen protection? Does anyone know what Olay product would be best for sensitive acne rosacea skin? Been using olay products for two decades. They get better every few years. Last year I was using olay regenerist. This year I am using pro-x and works better. Prior to buying Olay Pro X I read all the reviews about how amazing the products are but I also prefer Olay Regenerist. It really works better as a moisturizer. When I use Pro X my face feels dry afterwards. Definitely stick with regenerist if you have dry skin as Pro X is not as moisturizing. I’ve been using Olay Pro x it for approximately 3 weeks and it as really improved my face. Of the wrinkles are still there but my skin just looks more radiant and I have been asked if I have had something done. For under $20, it really is a good skin care. I trust P & G products have been tested probably and safe to use. Olay Regenerist is great stuff, don’t expect major miracles but it will make your skin have a noticeable clearer if you continue using it. It’s pretty light and is excellent for oily skin types. I have fine lines and wrinkles but they are small enough to conceal with a good concealer and foundation. Olay reviews always seem positive but I am still hesitant to try because I am happy with my current Moisturizer. This new Pro X looks very interesting. I always want to try clinical skin care brands but hate the pushy sales tactics at the med spa. Is Pro X really that good or should I just try Regenerist first? Yesterday I bought Olay Regenerist and started using it this morning. So far I find the product to be very hydrating and I think I will continue using it. This is wonderful stuff. It does not make my skin sting and it seems to absorb quickly so you do not have to wait around before you can apply your foundation. I would like to start using Olay Regenerist but have also heard about the Pro X range but not sure if it is worth spending more on this. I was using Oil of Olay ten years ago and that was quite nice but things have changed now. I need a good moisturizer that does everything. I just started using Olay Regenerist about a month ago. So far so good. No irritating. Looks like a good moisturizing. l ignore all the anti aging stuff but I noticed less wrinkles and improved skin texture and quality. As I was reading the top part of your review about Olay Regenerist, I also realized Olay is very good value for money since some of those ingredients are found in more expensive moisturizers. Plus I know P & G is a very big company and would obviously spend big bucks on research. How can a smaller brand even compete with Olay when they cant spend any bucks on research? What you’re saying makes sense so I will stick with using Olay for hopefully the next ten years.